For years researchers have dreamed of turning cancer into a nonlethal chronic disease rather than the terminal threat it is to so many cancer sufferers today. If we could confidently treat tumours, even the ones which aren’t detected early, and attack them effectively enough to eradicate them – this would be world changing. 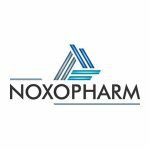 Noxopharm (ASX:NOX) listed on the ASX in August this year, and has a current market cap of $15m. It’s a company who believes it’s on the way to making this a reality. It’s set to kick off clinical trials in the coming weeks, with the goal of proving that its proprietary drug, NOX66, can significantly boost the efficacy of chemotherapy and radiotherapy once tumours have well and truly set in. If you’re keen to suss out the success of NOX66, you won’t have to wait too long – the company expects to have a good indication of both safety and efficacy from these trials within just 12-15 months. If NOX66 passes the test in the first phase, it would be a world-first – and it would position them nicely to take a piece of the $100 billion oncology drug market. The key drug in NOX66, Idronoxil, works by sensitising cancer cells to chemotherapy and radiation, while side-stepping healthy cells. This down-regulation of unhealthy cells’ survival can make existing therapies more powerful up to x2000. This could enable better tolerance for patients with compromised immune systems, and a harder to hit tumours, but with much less toxicity. So that is NOX’s plan and if it works, the results could be dramatic, no doubt making investors at this current early stage smile. With accelerated clinical trials going ahead in this stock, it looks like plenty of newsflow ahead. Earlier this month, actor and director Ben Stiller publicised the fact he fought (and beat) an aggressive form of prostate cancer in 2014. He states his success over the oft-deadly disease is down to a PSA test that he took at an earlier age than what doctors commonly recommend. The weird and wonderful world of Biotechnology has a lot going for it — an industry working at the sharp-end of breakthrough medical research, Biotech is also one of the more enticing investment landscapes of modern times. In how many other industries are companies literally striving to save lives?